David Kensington Interior Architecture and Design is a boutique firm, large enough to execute projects of grand scale, yet personal enough to provide devoted and intimate attention to each client. Headquartered in San Francisco, servicing clients worldwide. The guiding principles for the firm are Collaboration, Craftsmanship, Personalization and a remarkably enjoyable process. David Kensington has painstakingly sought out the world’s most skilled artisans and finest craftsmen to deliver residences that are bespoke and timeless reflections of the client’s vision, imbued with the firm’s unique sense of style, creating a true collaboration between patron and artist. Undaunted by the scale of a project, David personally immerses himself with organization and skill while devoting the time needed to managing teams of exceptional specialists. He accomplishes this by limiting the number of clients in order to ensure attention to detail at every level and timely execution. David has become one of the most sought after residential interior designers by creating tailored living spaces that reflect the needs and discerning taste of his A-list clientele. He has spent the past twenty years cultivating his passion by operating his industry leading design firm and building world-class residences for those seeking the ultimate luxury lifestyle. He prides himself on the precision and care with which he designs refined environments for his clients. His unique approach applies his lifelong passion of the decorative arts, creating harmonious residences ever mindful of the architecture and scale while combining luxury, scrupulous quality, comfort and sophistication. Some of his most compelling projects involve the seemingly effortless orchestration of decorative objects from various centuries. He redefines timeless style by juxtaposing modern and traditional elements, frequently developing private collections of fine art and antiques for his clientele. Before founding the firm, David worked as a designer with prominent Bay Area designers. Prior to this he worked as an architect for Gensler in San Francisco, and ran a real estate development company. In addition to twenty years’ experience in the design industry, David has a business degree from the College of Saint Thomas and studied architecture at the College of Environmental Design at the University of California, Berkeley. Born and raised in the coastal jewel of Santa Barbara, Whitney Robinson grew up singing in her church's gospel choir. She moved to San Francisco to earn a bachelor degree in Interior Design from the Art Institute of San Francisco. 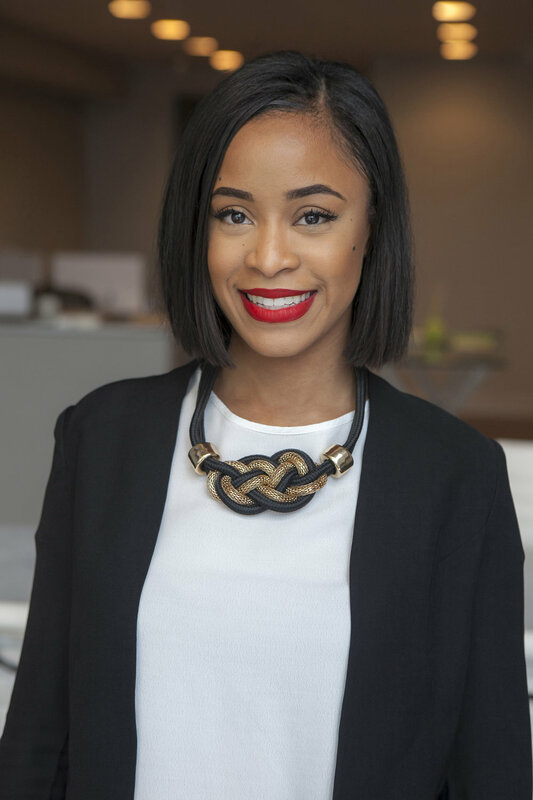 After graduating, Whitney began her career working as a design assistant in the offices of local industry greats, such as Stephen Shubel and Martha Angus. A tenured associate of over five years at David Kensington, Whitney has taken the lead on many projects in the firm. Motivated, talented and thoughtful in her design process, Whitney goes the extra mile to execute a project thoroughly and foresee possible issues before they arise. When not in the office, you can find her in the kitchen cooking up dishes that would challenge many restaurants in the city. David Diaz makes his debut in residential design, after working with Ralph Lauren in Manhattan for fifteen years as Vice President spearheading Presentation and Design for Stores, as well as the RL Home Collection. The San Francisco Bay Area Native who recently returned to California to join David Kensington has been immersing himself in everything that he loved and missed about the Pacific North West. “While I genuinely enjoyed the experience of living in New York City and traveling the world, the beauty of the San Francisco Bay Area and it’s accessibility to nature is unsurpassed - I yearned for it.” Before his time in New York, David also led Corporate Visual Merchandising for local brands Banana Republic, launching Banana Republic Home; as well as Williams-Sonoma and Williams-Sonoma Home. While completing his undergraduate Degree at the University of California, Berkeley, David apprenticed with Designer and Event Planner Paul Renwick of Renwick and Wolfe.